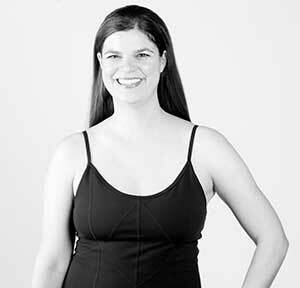 A devoted student and teacher of flow, Meghan discovered yoga in 2000 after injuring her spine. She became a self-taught student of Yoga to grow stronger and heal her body and soon embraced the yogini lifestyle whole-heartedly. Through grace and inspiration, Meg brings to the mat seamless sequences with her own blend of foundational principles, ritual and movement based on the 5 elements to find inner guidance, strengthen and heal physically emotionally and spiritually. Meghan is an ERYT 500, teaching since 2004, ambassador for Off the Mat into the WorldTM and is the creator & owner of Soul Tree Yoga in Lafayette, CO. She is enjoying life with her amazing not-so-little-anymore kiddo and studying 5 Element Acupuncture at ITEA. "I am incredibly grateful for where this practice has taken me and for the community of Soul Tree. My purpose is to foster communities that gather around the fire to heal, connect and thrive. I hope you can join us!" Marin McCallen (500 ERYT) is a life-long student and natural teacher. Her deep enthusiasm for sharing the knowledge and benefits of yoga shines through in all of her offerings. Marin's own practice was a transforming force in her life, leading to deeper self-insight, increasingly healthy habits, and strength in body and purpose. Her evolution into teacher enforced her believe in yoga as a healing practice as she witnessed similar shifts in her students again and again. She continues to remain a student, always expanding her studies, and now trained in many different modalities including vinyasa flow, yoga nidra, yin & restorative yoga. 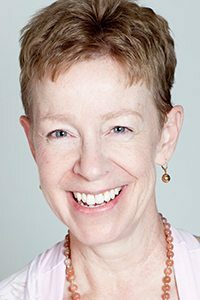 Marin approaches her teachings with reverence for the wisdom and tradition of yoga and with light-hearted humor and enjoyment of life. She embodies the natural curiosity of a traveler, and exudes a willingness of heart. Her teaching style is articulate, enthusiastic, present, grounding, and empowering. Alex is a lighthearted and thoughtful teacher. She seeks to create a secure atmosphere for the students’ healing process and makes energetic space for the release of long held thoughts and emotions that might come up during the yoga practice. She encourages her students to follow their own inner wisdom and to challenge any ancient conditioning or beliefs that are limiting and constrictive. Alex teaches from the spaces between play and discipline where she has found the most freedom and healing. She is available for group and private instruction and is skilled at helping beginner and advanced students craft a practice that feels good and challenges the student to grow stronger. Alex is an artist, yoga teacher, and a student of the Rolf Institute of Structural Integration. She received her 200 hour certification from It’s Yoga in 2005. In 2011 her life was dramatically transformed on all levels when she completed the 200 hour Forrest Yoga Foundation program. She began the first Forrest Yoga program in Columbus Ohio giving the students there the tools to heal themselves and live more authentically. Forrest Yoga is the spark that empowered Alex to make some daring life choices, such as enrolling at the Rolf Institute to increase her ability to help others heal, moving to Colorado with her son, Henri, and making more space for art and love in her life. Sarah has found herself dedicated to studying and practicing the spiritual, emotional and physical balance between Yoga and life for the last 10 years..."it ALL connects and resurfaces on our mats"!!! Her Vinyasa Flow style of teaching allows her students to Feel Free to Feel through the challenges and the flow by staying present with the breath in a space of connection and healing. "I am so honored to share this healing practice to seek our inner strength and connection to ourSELF...What happens when the heart surrenders everything to this moment and to YOURSELF?" A dedicated Mom of 3, she loves to PLAY and spend time with friends and family. When not at home or teaching, she enjoys practicing/learning/studying Yoga, reading, hiking, cooking, traveling, dancing, scuba diving and LIVE MUSIC! Anne-Alex has been a certified yoga instructor since 1999, teaching traditional hatha, Ashtanga, vinyasa, yin and Kundalini yoga styles. 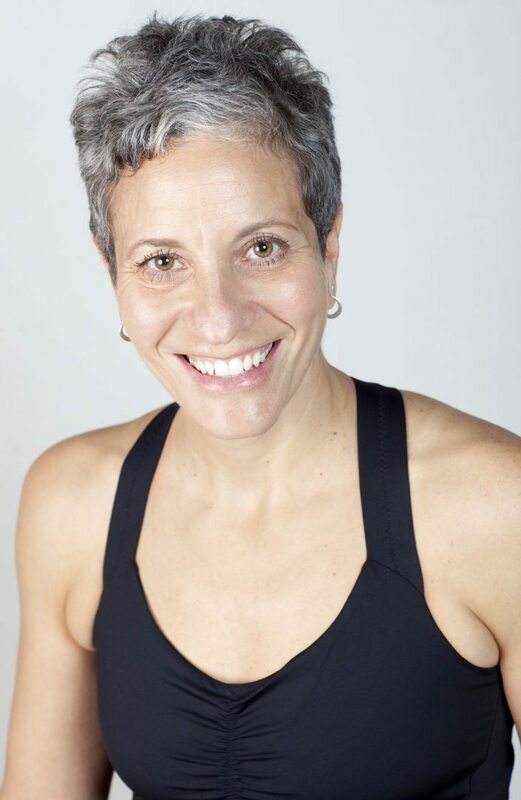 She brings to her teaching an extensive background in professional dance theater, movement education, sports and dance medicine, somatics and body therapies. She is also a personal trainer, teaches Tai Chi, and works with people with Parkinson’s Disease and MS, and seniors in various fall prevention programs. Susan took her first yoga class as an undergraduate at the University of Colorado. A lifelong dancer, she was hoping to find a new physical outlet and soon fell in love with the practice. She dabbled with yoga for many years and deeply committed to her practice to help her cope with a dear friend’s illness. In 2012, she joined Soul Tree’s amazing Teacher Training program and completed her certification in 2013. Practicing yoga has helped Susan to balance life as a mother, wife, sister, friend, high school teacher, and more! Susan loves taking what she learns on the mat out into the real world, and she encourages her students to do the same. Off the mat Susan can be found playing with her vivacious, pre-school aged daughter, walking her beagle, cooking with her husband and sisters, or cross country skiing. of Yoga, she hopes to help her students find happiness in their bodies! Janine’s classes reflect a compassionate approach to our humanity and seek to cultivate awareness and connection with body, mind, and emotions. Within a safe space, participants explore sensations and connect to our breath with intentions of transformation, healing, and spiritual development. Everyone is welcomed with unconditional acceptance with whatever experiences are brought to one’s mat that day. Janine completed her 200-hour yoga teaching training at Soul Tree Yoga Hub in April 2013 under teachers Meghan Stockdale and Cori Fratelli. Besides teaching at Soul Tree, Janine works as a psychologist, specializing in traumatic stress therapy and teaching trauma-informed yoga classes through Boulder County’s non-profit Moving to End Sexual Assault (MESA). When she is not practicing or teaching yoga, Janine loves to garden, hike, bike, and share quality time with her amazing menagerie of animals. Mykel found yoga at the right time! Working a stressful job, she needed somewhere where she could escape and forget all the chaos, even if it was just for an hour. This was life changing for her in many ways! Her stress levels reduced to almost nothing, all the aches and pains in her shoulders and low back had vanished, migraines reduced, and there was a new sense of light in her overall being. As someone who has always been passionate about healthy living for herself and for others, Mykel decided to take her yoga experience to the next level. She completed her 200 hour yoga teacher training with Soul Tree Yoga in February 2017. Mykel’s bubbly personality, energy and passion for life shines through in all of her offerings. She enjoys challenging her students to a new level of self confidence, strength and flexibility. By providing her own energy, her goal is to inspire her students to commit to being their best, healthy, authentic selves. Aside from yoga, she enjoys going for hikes, along with other outdoor activities, painting, cooking, and embracing her inner green thumb. j hastain brings deep work as a priestess and ceremonialist to ecstatic dance practice. j's background as a dancer started in L.A. dancing hip hop and continued in the outskirts in Australia. j is certain that the whirling dervishes offer bread and wine as offerings in the former lives and in this one. It is j's belief that bringing dance into the ecstatic registers results in sound healing by the bravery of authentic movement in ceremonial space. j dances hard and sweats until clean. Laura Zeigler has taught yoga to adults and kids since 2010. She is a graduate of Naropa University where she studied yoga, meditation, contemplative education, aikido and Sanskrit. Laura was originally drawn to yoga as a way to release muscle tension and deepen the breath and with commitment to a regular practice she discovered that yoga is a potent life-changing tool. Her desire to help others discover this is what continues to fuel her passion for teaching. In 2014 she became certified to teach AcroYoga and she is particularly excited by partner practices because she loves to see what happens when we practice in relationship! She enjoys teaching both adults and children as a way to open up the body, mind and spirit to greater freedom, joy, and peace. Mark moved to Colorado in 2008 from Pennsylvania with the intention of completing a master’s degree in contemplative psychotherapy but quickly found himself on the path of yoga. It was during this chaotic time of transition he discovered Vipassana meditation and yoga as a way to ground himself in the groundlessness of living. He spent the next 6 years working with and through resistance to his practice and in 2014 he enrolled in Soul Tree Yoga Teacher training in Krama Vinyasa and truly discovered his devotion to meditation, yoga, and the gratitude for 6 years of resistance to them both. He quit his job of eight years and now uses his own experience with practice to make compassion accessible to all his students by offering a safe environment to explore, play, and get curious about the possibilities that already exist in each of us. Through the use of pranayama, asana, and meditation, it is his intention to allow students of any level find healing and deep peace from within, while still giving a realistic and grounded approach to the deeper aspects of yogic and meditative practice. He truly believes and embodies the notion that, Yoga is not about being flexible or even making yourself flexible. It is about meeting your inflexibility with kindness and curiosity. It is about holding ourselves in gentleness underneath the challenge of postures, and finding our true selves by coming into our bodies with love rather than an agenda to fix or change something. When we allow ourselves to feel, with presence and honesty, we seek to evolve and grow but still consistently allow self-compassion and grace to flourish beneath the effort. Melissa is an artist, who expresses life as a dance, through massage from several ancient modalities and practice in yoga, mantra, music, and meditation. She seeks to create a space where people feel comfortable to deeply feel and express themselves. Her journey to her center began with yoga; she began practicing in high school finding personal growth and healing. She continued on to massage school and fell in love with Thai Massage, in part due to it’s yogic roots. Traveling to follow her teacher, Melissa studied near and far for the past ten years, developing her skills and practicing as a massage therapist. Her path led to further study in Yoga and Ayurveda at Naropa University, earning her Bachelors degree in Traditional Eastern Arts. She now teaches at the Veteran’s Affairs Hospital in Denver working with Service Member’s with PTSD and in the Psychology Unit, as well as, at Soul Tree Yoga. She teaches the Bhakti flow, Mellow Flow and Healing Yoga. Creating a sense of community in practice can help us all to find our true gifts and grow into our fullest expression of ourselves. By offering one on one sessions and group classes, Melissa hopes to lead each person back to their depth of self, feeling wholeness, and activate the body’s innate wisdom to heal. Katharine Kaufman was raised in New England watching the green come out of snow. Her yoga, poetry, performance work, and play all spring from the gentle stillness found through meditation practices. 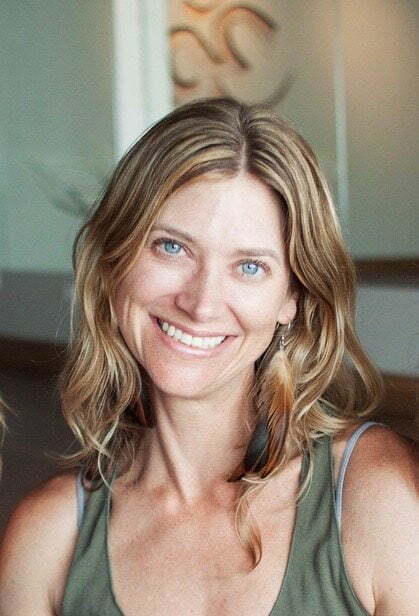 Katharine studied in India, taught Yoga for many years at The Yoga Workshop and Studio Be in Boulder and leads retreats at the Shambhala Mountain Center. Katharine is ordained in the Soto Zen lineage. She is an adjunct professor at Naropa University where she teaches Movement Arts. She holds MFAs in Performance/Choreography and Writing/Poetics. Katharine’s choreography has been seen in venues such as Boulder’s Fringe Festival, Naropa’s Presidential Inauguration, Altona Grange Hall, and in the forest. She is also a published poet. Katharine recently adopted two three legged puppies from India. Christina Mitchell, MS, CNM, RYT500 has been working in Women’s health for 30+ years. In 2003, after several years of a casual practice, she began a committed Yoga Practice. During this time she discovered the many benefits of Yoga, including an increased ability to cope with life’s stress. Indeed, she feels that she discovered a fountain of youth! In 2013, she completed the 200-hour Vinyasa Flow Yoga teacher training and a year later, followed that with 500 hour Yoga teaching training. Subsequently, she trained in Prenatal yoga, Yin Yoga, Yoga Nidra, Restorative Yoga, Yoga for Healthy Aging and Meditation instruction. She considers herself an life-long learner and loves studying the spiritual aspects of Yoga philosophy. It is her belief that Yoga is for EveryBODY and that its benefits are accessible to all. When she is not on the mat or caring for moms and their babies, one can find her enjoying her family and friends, hiking, walking her dogs, knitting, watching a classic film, or sipping a honey latte at a local coffee shop. I began my yoga practice in 1999 and quickly heard my calling to teach. After leaving the Midwest, spending a year across the pond, and finally finding home out West, I am following that calling and began my journey as a yoga teacher in 2014. I completed my 200 hour training at Yoga Junction in Louisville. Upon learning I was pregnant with my second child I began the practice of prenatal yoga which led me to seek training in postnatal, Baby & Me, and Toddler Yoga at Mama’Hood in Denver. To further my new-found passion and continue to serve my students, I trained in Prenatal Yoga at Mount Madonna Institute in California, and in pelvic health with yoginis and physical therapists. I offer classes that are joyful, warm, inviting, and tailored to nourish my students’ needs. I lead classes to empower with a sense of peace, spiritualism, and promote community. I teach to guide students to partner with their body, build a core foundation so that they may find steady and comfortable postures enabling stillness of the mind in the present moment inviting contentment and gratitude. My classes flow with alignment based asana and pranayama enabling the body to function optimally with ease and the ability to find balance in everyday life. Farrah (E-RYT) began her love and devotion to yoga 15 years ago, leading her to become a certified teacher in the Hatha tradition in 2006. She has continued her education with studies in Vinyasa, Restorative, and Nidra. Farrah’s teaching provides a calm and safe space to explore, recharge, and heal deeply from within. She encourages students to always honor their body in the moment and to make the practice their own. She is known for her soothing voice and ending her classes with relaxing guided meditation. Her personal practice has seen her through many of life’s opportunities from injury to grief, as well as defining dedication, patience, and loving with all of her being. Her commitment to this practice inspires her to continuously expand her knowledge through informal life experiences presented daily, as well as formal opportunities such as training's and endless self study, deepening her desire to assist others in finding a happier and healthier well-being on and off the mat. Hello! 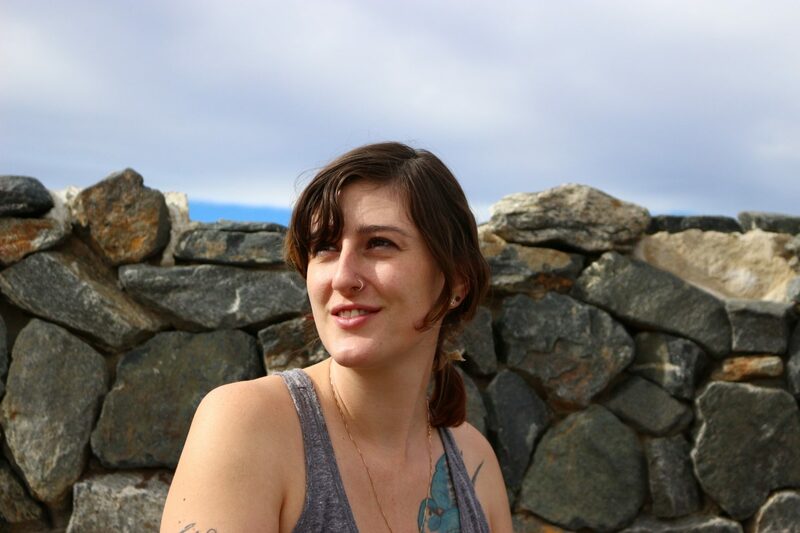 My name is Amanda Ocon and it is my absolute pleasure to be a part of the Soultree community. I am originally from the Chicagoland area, but it is here that I call my home. The journey I have taken over the past four years since finding myself in Colorado has been quite a ride, both on and off my mat. It is in these years that I have been given the opportunity to deepen my practice and truly begin to just scratch the surface of what yoga means to me. This will be a lifelong road that I will continue to travel over the years, and be honored to walk along side all of you in your journeys. It is my goal to create a safe and sustainable practice that is not only physically challenging, but a practice that will also leave you with a feeling of being at one with yourself and those around you. For me, yoga comes in all shapes and sizes both on and off the mat, each of us a teacher. It is with love and gratitude I say hello to you all, thank you for welcoming me to the Soul Tree tribe. Bhakti White has been practicing Yoga Asana in various forms for nearly 30 years. She has taught over 10,400 classes in over a decade of full time teaching and been the lead trainer in over thirty-five 200/500 Hour Yoga Alliance Teacher Trainings. Bhakti is the founder of Chi-Town Shakti, Chicago's premiere Yoga studio and served as Board President and resident Acharya at the Chicago Ashram (CSGSY) a non-profit meditation community. A recent Boulder transplant, Bhakti is finding new nourishment in being closer to her Guru, Sri Shambhavananada and the wellness community of the greater Boulder area. A dedicated Hatha, Vinyasa, Yin, Prenatal, Meditation and Pilates teacher; in 2016 she discovered Kaiut Yoga and has gained incredible benefit from this unique form of Asana practice. After studying directly with Francisco Kaiut in Toronto Canada, Bhakti began teaching Kaiut Yoga as well and has seen the amazing benefits of this unique approach extend to her own Yoga students. 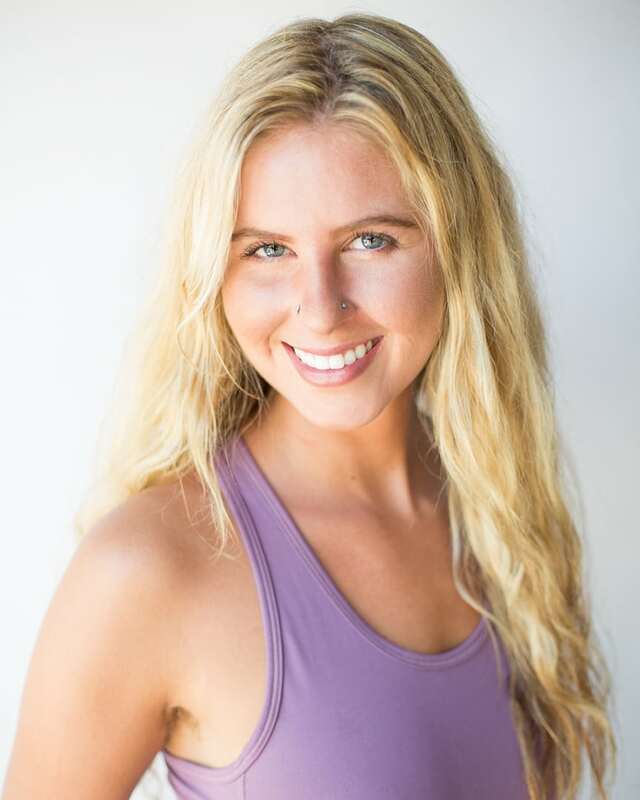 Known for her down to earth nature, ability to connect deeply with each individual student and her deep love of Yoga as a lifestyle on and off the mat, Bhakti is excited to find her place in the Soul Tree and hopes to help facilitate each student's personal, physical and spiritual growth along a Yogic path. 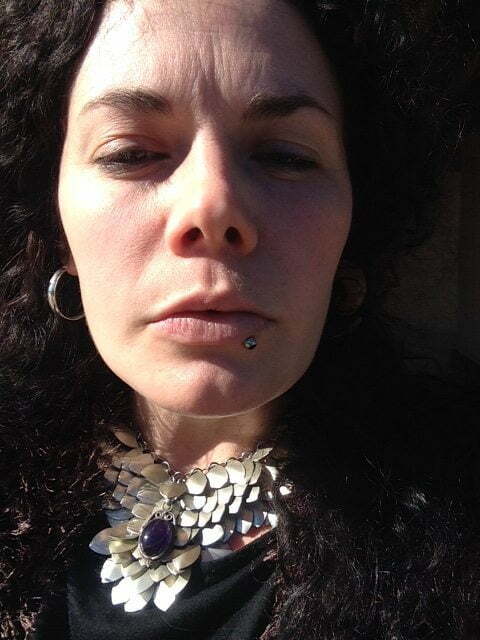 Jocelyn is passionate about stones and crystals. By day she is a jewelry artist creating wearable art with silver and gemstones. The rest of her time she spends exploring the realm of spirit. In addition to being a 500 RYT, she is also a Reiki Master and intuitive healer. Working with gemstones and crystals keeps her rooted in the 3D world and deeply connected with Earth energy. Jocelyn creates an atmosphere of curiosity and playful exploration in her yoga classes, incorporating rocks and crystals at every opportunity. Her journey with yoga has been and continues to be a journey of self-discovery. She completed her yoga teacher training at Soul Tree and is so excited to now be included in the Soul Tree tribe. Her training includes Yin, Restorative, Yoga Nidra, Vinyasa, and Feel.Focus.Flow. She strives to make all her classes inclusive and trauma-informed. Andrew creates an atmosphere of gentle awareness, heartfelt healing, and loving growth.. Whether he's teaching Yoga or Reiki he holds space for people and the process, encouraging them to be active participants in their healing. The qualities of stillness first motivated Andrew to practice Yoga. It took only ten minutes of simply focusing on his breath, the shape it took within his body, and how it felt on its release. The exercise forever changed his life when his mind, which had been an ever rushing river of thought, now experienced a momentary reprieve. Through his practice he seeks to offer this peace to others; relishing in expansion and the inevitable contraction, love, light, and the willingness to see our shadows and support ourselves through our darkest moments. He shares as an Artist, Musician, Sound Healer, and empowered Reiki Master/Teacher. His love and reverence for Nature and BE-ing often arises in class, transporting students from their mats to the outer spaces and back to the inner workings of their minds and bodies. Andrew has completed 500+ hours of training including Laughing Lotus Flow, Yogaspirit, and Yin. In 2000 I found yoga and it was the first time in my life that my mind was still and I knew I had to have more of this new found peace. I began a regular yoga practice and had the honor of practicing under a master teacher since 2008. After years of practicing yoga, I started to find the inner peace I craved and I realized that I wanted to share the gift of yoga with as many people as possible. In 2014 I became a certified yoga instructor. I am a passionate and spiritual yoga instructor who creates dynamic lesson plans structured around a theme to include asana, pranayama, and meditation based on the 8 Limb Path of Yoga. I’m a certified Yoga Alliance RYT200 instructor trained in Sivananda Hatha and I’m also Power Pilates certified. I love to weave the spiritual messages of yoga throughout my classes to help guide students deeper into their practice. Honoring each students' space and place, I teach to the room and not just my lesson plan. I work to guide students to honor their bodies and not worry about making their body fit a pose. I've had many physical challenges throughout my life and have experienced how yoga can heal the body and mind. I believe this has been a gift because it has helped me understand some of the challenges my students experience. I feel blessed that yoga came into my life and I became an instructor to share the gift of yoga with as many people as possible to assist them along their journey. Uxia (oo-shee-ah) is passionate about helping people to experience a deep and intentional practice, with great attention to the energy and healing benefits of yoga. Students love Uxia’s clear and directive style, offering gracious personal attention whenever possible. Uxia discovered yoga in 2006 while working as a senior executive in the fashion industry for a large international Danish company. As her career pace and stress levels grew out of control, her experience of wellness and connection began to dissolve. Yoga was her key to recovery and awakened her to a fuller experience of life. In 2012 Uxia gave up her work in the fashion world and dedicated herself completely to the study of yoga, as a teacher, and to transform her own life. Since then she has traveled the world exploring spiritual traditions, completed more than one yoga teacher training, numerous teacher enrichments, and has studied in-depth in full-time residential programs with yoga masters in India, Canada, Mexico and Spain. Uxia is also a certified Yoga Therapist (IAYT), and loves to share the power of Ayurveda and yogic lifestyles with her students. Victoria has been practicing Hatha Yoga since 2005 and teaching since 2015. A devoted student who strives to live her practice off the mat, Victoria views the interior of our being as a microcosm of the universe that is light radiant, seeing Yoga as a practice for healing, opening, connecting and expanding. She treats practice as an invitation to stay in 'what is' and explore beyond our edges, perceptions and stories. In class, Victoria challenges the student to embrace the uncomfortability and difficulty of a pose as a tool for purifying what is mentally, emotionally, energetically, and spiritually blocked. Victoria's practice is further influenced by her study of Ayurveda and her primary teachers, Sophia Diaz and Tias Little. When not on her mat or cushion, Victoria can be found salsa dancing, racing sailboats, hiking, baking, and spontaneous adventuring.